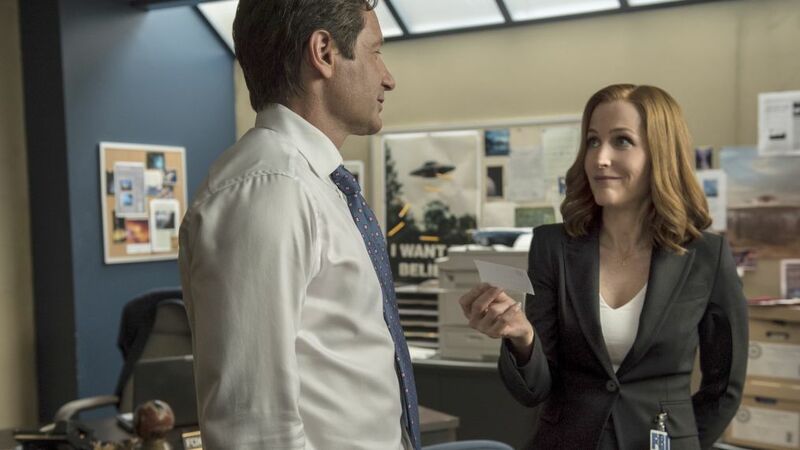 The X-Files' future is still in limbo. Immediately after the event series' finale, executive creator Chris Carter shared that conversations had started about Fox ordering more episodes. But nearly half a year later, nothing has been solidified. "We would obviously love to do another season," Fox president David Madden said during the network's Television Critics Association executive panel. "There are significant talks going on with [series stars David Duchovny, Gillian Anderson and Carter]. Schedules are hard, but we're working hard to get this done. We would love to get another season out soon." The drama was successful, ratings-wise, but many of the episodes received mixed reviews from fans and critics. But the Fox executives defended the quality of the series. "I actually think the season, the six episodes, were strong," Madden said. "We worked hard with Chris on the previous season. The episodes represent Chris and his team's vision…if we have the opportunity to do more episodes, we'll take our cue from Chris and his team. There was some very strong work the previous season, and we look forward to more." "The show was off the air for a very long time, and was introduced to a variety of new viewers through OTT platforms," Fox Television Group CEO Dana Walden added. "Not withstanding that, there was a lot to cover in the six episodes. They had the challenge of filling in the mythology, and explaining where the characters were and how they got to where they are at the start of the six episodes." "I think going forward, there won't be the same obligation to reset the series," she continued. "I will tell you on our social platforms, the chatter was overwhelmingly positive. The fans want more episodes. I did read some negative reviews, but I also saw some glowing reviews. Like with most shows, I thought it was very mixed." After the panel, Walden reiterated her hope that the next "season" of The X-Files will consist of more episodes. "We would have liked to have done more in the first place," she said. "It was really the limitations of David and Gillian and Chris' schedule…it was trying to coordinate a time they could all carve out a period to be in Vancouver. Now, we have longer to plan. We're in conversations we could do more. I don't imagine it being a full season of The X-Files, but I would be really happy if we could get eight, 10 episodes." Do you want to see more The X-Files?